From what we read and have been told Wakatobi is supposed to be one of the top diving destinations in the world. 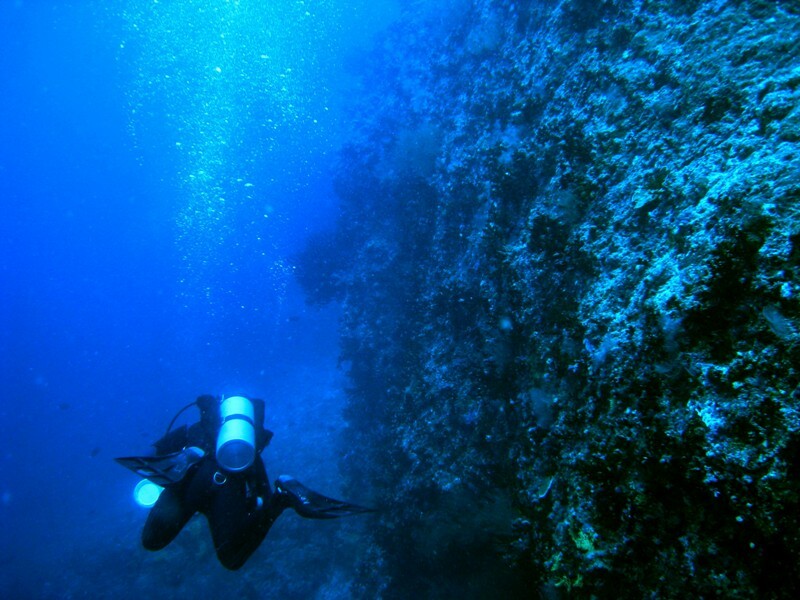 It has amazing muck diving, deep walls, beautiful coral, and it even has caves.. The island resort has a partnership with the local villages to preserve the marine life and therefore has a flourishing reef system. Recently there has been an increase in pelagic sightings as well.. The resort is for certified divers only and we are looking forward to diving with more experienced divers more often.. There is also the opportunity to do Advanced Nitrox diving for those with certification. Advanced Nitrox diving for experienced divers is an amazing opportunity to extend their overall range of diving, opening up a whole new world of diving experiences. Advanced Nitrox or “gas switch extended no stop diving” is simply using different blends of Nitrox up to 60%EAN during a dive to extend your overall bottom time. For those divers who would like a bit more time at 30 or 40 meters without having to surface due to decompression requirements a simple switch to a higher O2 blend of Nitrox at a shallower depth can eliminate or greatly reduce the nitrogen on gassing therefore giving you more time to enjoy the dive at deeper depths.. As more and more people are becoming aware of the benefits of Advanced Nitrox and Technical Diving, they are fast becoming the wave of the future for the more experienced diver..